It won’t be long until Miranda’s novella, Spellbinder, will be out. That’s right, June 30th, you’ll be able to read all about Miranda’s Paris adventure. Oh yeah, Perry and Steve are both there, too. Not to mention Kylie and Della. Then there’s the person trying to kill Miranda and her fellow contestants in the magic competition. What Miranda doesn’t expect is for her investigation to unleash shocking revelations…about herself, her family, and her arch enemy. Now Miranda must step up and show everyone that she’s a witch to be reckoned with….before it’s too late. When you play with fire, you might find things getting hotter for other reasons. It’s possible for a girl to be kissed like she’d never been kissed and not even know who kissed her. Magic moms are ten times worse than soccer moms. The only thing better than going to Paris, is going to Paris with your two best friends. Well, it would be if someone wasn’t trying to kill you. Sometimes the people you think you know the best, aren’t at all who you thought they were. Some things are harder to forgive than others. Family can work together and overpower dark magic. If someone needs help and you ignore them, you may never forgive yourself. While a hug doesn’t fix everything, it can be exactly what you need at the moment. Some people are willing to kill to win. Spellbinder is available for pre-order at Amazon, Barnes & Noble and iBooks. 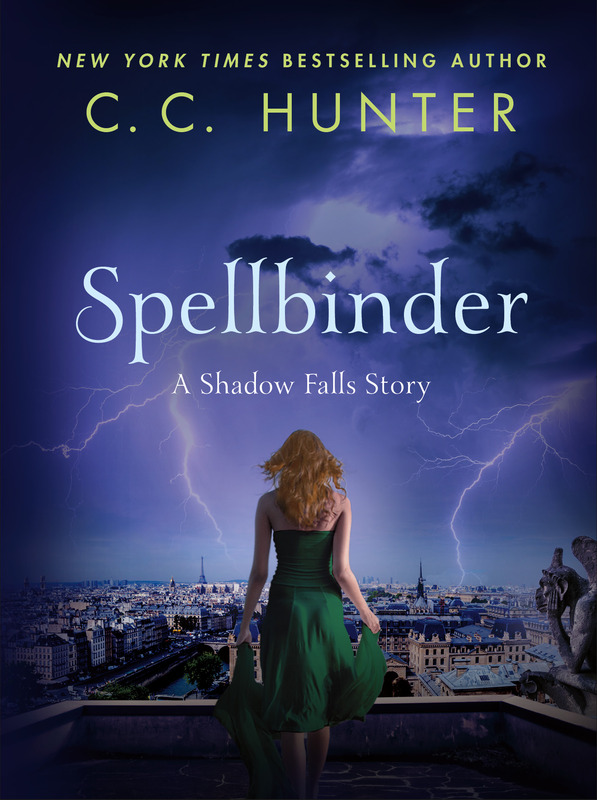 So, be sure to pre-order Spellbinder, tell all you friends to do the same, and share Spellbinder’s cover on your Facebook page. And remember when magic, romance and family secrets collide, the result is spellbinding! Last week’s winner of a copy of Joy Preble’s Finding Paris is Emma. Please email your mailing address to cc@cchunterbooks.com. Congratulations! 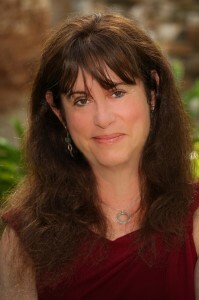 Today I’m welcoming Joy Preble to my blog. Joy is a good friend, a great YA author–and fellow Texan. Her latest book, Finding Paris, is out today. So be sure you pick up a copy. I invited Joy to answer a few of my questions about Finding Paris. CC: Tell us about Finding Paris. Joy: Finding Paris is my first YA novel with Balzer and Bray/Harper Collins, and I’m so very excited for it to arrive in the world on 4/21. Like all of my work, it’s a genre blend—a mystery wrapped around a family drama, tucked inside a road trip, with bits of tragedy and bits of romance. Sisters Leo (Leonora) and Paris have only ever had each other to rely on. They can’t trust their mother, who hops from city to city and from guy to guy, or their gambler stepfather, who’s moved them all to Las Vegas. It’s just the two of them: Paris, who’s always been the dreamer, and Leo, who has a real future in mind—going to Stanford, becoming a doctor, falling love. But Leo isn’t going anywhere right now, except driving around Vegas all night with her sister. Until Paris ditches Leo at the Heartbreak Hotel Diner, where just moments before they had been talking with physics student Max Sullivan. Outside, Leo finds a cryptic note from Paris—a clue. Is it some kind of game? Where is Paris, and why has she disappeared? When Leo reluctantly accepts Max’s offer of help, the two find themselves following a string of increasingly disturbing clues through Vegas and beyond. But the search for Paris—and the truth about why she’s gone missing—is not a straight line. And either is the path to secrets Leo and Max hold inside. CC: Finding Paris is a genre shift for you, crossing over from stories with a paranormal element to contemporary YA. Can you talk a little about this? Joy: I’m what I suppose you’d call a literary omnivore. The stories that come to me don’t always fall neatly into one or the other category. So I’m very fortunate to have worked with a number of wonderful publishing houses, the latest being Balzer and Bray. It’s actually been a good challenge to write a straight contemporary novel. The paranormal elements in both Sweet Dead Life and Dreaming Anastasia serve as one of the main engines to the plot, but with Finding Paris, it’s a real life mystery, a real life sister’s disappearance, among other things. But I love the leaner nature of a contemporary story. CC: What was the inspiration behind the novel? CC: What’s next for Joy Preble? Joy: Right now I’m finishing up the last revisions for It Wasn’t Always Like This, which comes out from Soho Press in Spring, 2016. It’s pitched as Tuck Everlasting meets Veronica Mars: A girl named Emma, a boy named Charlie, a fountain of youth, and what happens when you’re stuck at seventeen. It’s got this wonderfully huge scope, shifting back and forth from current day Dallas and Emma solving a series of murders to the Emma and Charlie of the past and how they came to be separated for 100 years. Oh my gosh, I love this book! I can hardly wait to tell everyone more about it. Joy Preble is a Texas girl who was born and raised in Chicago and a former high school teacher who now writes full time, which means she gets paid for making up stuff. She earned an English degree from Northwestern University and speaks and teaches widely on writing and literacy at libraries and schools, as well as SCBWI, NCTE, AWP, and other conferences. For more information, go to http://joypreble.com/. 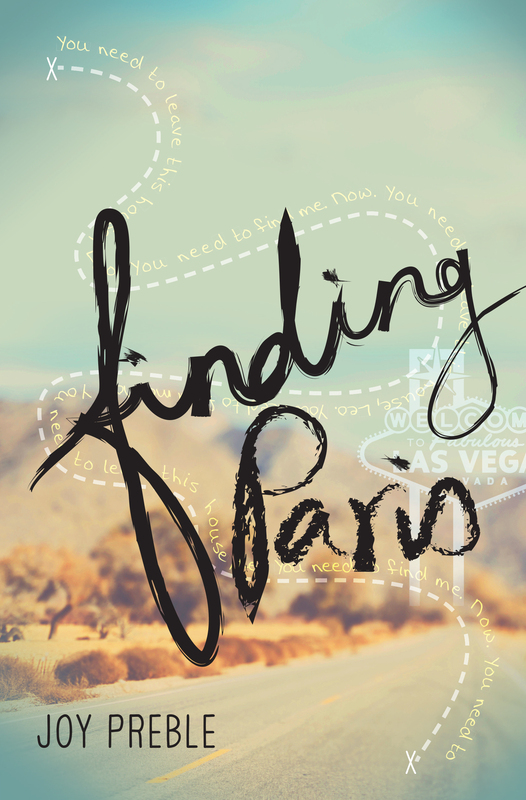 You can buy Finding Paris at Amazon, Barnes & Noble, IndieBound, and Balzar + Bray (HarperCollins). 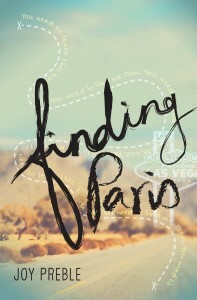 I’ll give away a copy of Joy’s book Finding Paris to someone who leaves a comment. So be sure to comment. The winner of last week’s giveaway, a print copy of Unbreakable, is Cassandra from Ontario, Canada. Cassandra, email your mailing address to cc@cchunterbooks.com. Congratulations! It’s getting closer to the release of Miranda’s novella, Spellbinder. I’m almost finished with Unspoken, the final book in my Shadow Falls: After Dark series. And I have to admit, there were times I didn’t think Della would make it. But really like the direction her story is heading, and I think you will too. Which one do you like the best? I’m open to suggestions. What would you like your t-shirt to say about you and your reading habits? 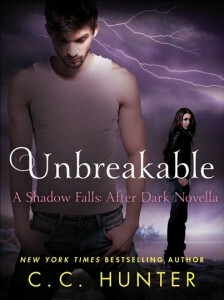 This week I’m giving away a signed paperback of Chase’s novella, Unbreakable. And guess what? This giveaway isn’t just limited to residents of the US. But if you do live outside the US, please be sure to tell me what country you live in when you post your comment. So, come on, Shadow Falls fans, leave a comment telling me which saying you like best, or tell me what you’d like your t-shirt to say. The winner of last week’s giveaway, a hardback copy of Eternal, is Gisselle Montes. Congratualtions! Please email your mailing address to cc@cchunterbooks.com. I’m so excited I can finally share the cover for Miranda’s novella, Spellbinder! When magic, romance and family secrets collide, the result is spellbinding! Miranda Kane has always felt like a screw up–at least when it comes to her ability to wield magic. Her only sanctuary is Shadow Falls camp, where she’s learning to harness her powers as a witch. But thanks to her shapeshifter boyfriend who called it quits and ran off to Paris, both her heart and powers feel broken. When she unexpectedly lands a top spot in a spell casting competition in France, she flies out with her best friends Kylie and Della. But her trip takes her straight into the heart of a dangerous supernatural mystery–and a heated romance. What Miranda doesn’t expect is for her investigation to unleash shocking revelations…about herself, her family, and her arch enemy. Now Miranda must step up and show everyone that she’s a witch to be reckoned with….before it’s too late. 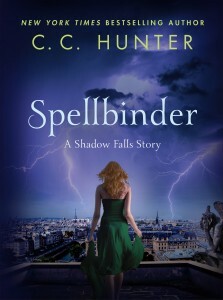 Spellbinder will be released June 30, 2015, but is available for pre-order at Amazon, Barnes & Noble and iBooks. Don’t miss out, pre-order your copy NOW.